When categorizing the composition of skin, there are red colored blood, brown colored pigmented cells and melanin pigment, and other clear colored tissues. Prolonged exposure to UV light stimulates the skin pigmented cells to produce freckles and other skin imperfections. Pigmentation can also be a result of acne. 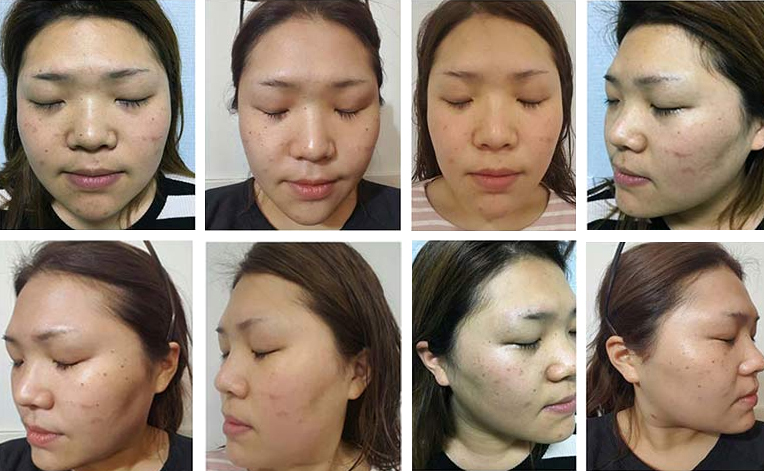 These lesions that have different color to normal skin can be treated selectively using several different laser technologies such as the Lucid Q PTP Switched 1064 nm Nd:yag or the Long pulse 1064 nm Dual Accento which is used to target to various pigmentation skin conditions. When the laser is applied, the light is absorbed by a substance called the chromophore within the tissues. The main chromophores of the skin include water, melanin pigment and hemoglobin. 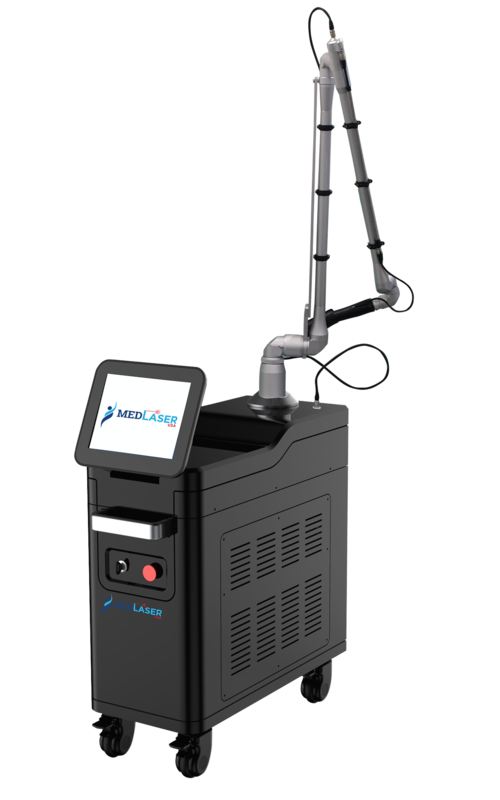 Depending on the type of the laser, the different wavelengths vary in their penetration and the area of damage. Dark spots from early sun damage occurring in light-skinned individuals tend to be more superficial, affecting only the top layer of skin. Dermatologists commonly recommend topical hydroquinone or retinol (an over-the-counter form of vitamin A) as the treatment of choice. When topical therapy fails, superficial chemical peels containing salicylic acid and glycolic acid may be used in combination with topical therapies to enhance results and improve the skin’s appearance. 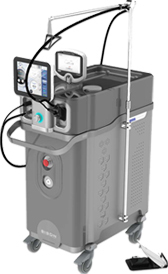 Intense Pulsed Light (IPL) devices and Q-switched lasers also may be used alone or in combination with topical therapies to selectively target dark spots. 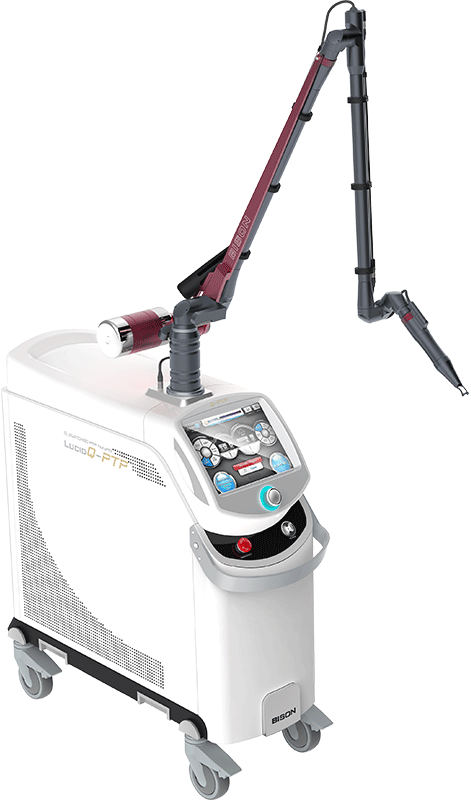 Lasers and IPL devices should only be used by or under the direct supervision of a physician. Daily sun protection with a sunscreen that provides broad-spectrum protection from UVA and UVB rays and has a Sun Protection Factor (SPF) of 30 or greater is essential in preventing further sun damage and resulting dark spots. Two of the most common pigmentation problems that occur in people with darker skin tones are melasma and post-inflammatory hyperpigmentation. Melasma is a patchy brown discoloration that occurs on sun-exposed areas of the face and is commonly referred to as “the mask of pregnancy” because it often occurs during pregnancy. Those with light skin can develop melasma, but the condition is more common in dark skin. Because a deeper skin layer (the dermis) may be affected, melasma can be difficult to treat and requires a multifaceted treatment regimen. Post-inflammatory hyperpigmentation (PIH) is a condition in which an injury or inflammation to the skin causes increased pigment production. PIH occurs in darker-skinned individuals and, like melasma, can be difficult to treat when it involves a deeper skin layer. The most common cause of PIH is acne, but it also can result from psoriasis, a burn, or an injury. It is important to address the underlying cause of the pigmentation problem. For example, to treat PIH due to acne, Dr. Callender recommends treating both problems simultaneously with topical retinoids, a group of medications derived from vitamin A. These medications are available by prescription and include tretinoin, adapalene, and tazarotene. A combination of over-the-counter topical products containing active ingredients such as soy or niacinimide have been found to help brighten the skin and can be used daily. For melasma, hydroquinone therapy is used as a mainstay treatment. Darker-skinned patients resistant to over-the-counter therapies may be good candidates for microdermabrasion or chemical peels in addition to topical therapy. Combination chemical peels, which contain higher concentrations of active ingredients than those used for lighter-skin tones, allow the active ingredients to reach the deeper, affected pigment. Some of the active ingredients currently used for darker-skinned individuals include salicylic acid, lactic acid, resorcinol, kojic acid, mandelic acid, and tretinoin. 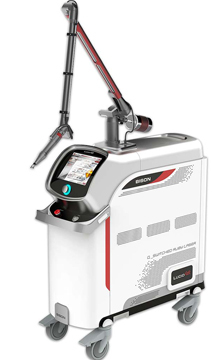 Non-ablative fractionated lasers and very low-level Q-switched Nd:YAG lasers can be used in difficult to treat or resistant cases. Daily use of a broad-spectrum sunscreen with an SPF 30 or greater is highly recommended to prevent further darkening of the skin. Dr. Callender noted that the newest sunscreens are not as opaque or difficult to apply as in the past and are working well for darker-skinned patients. Dr. Callender noted that new therapies are under development and are expected to help treat discoloration in the future. 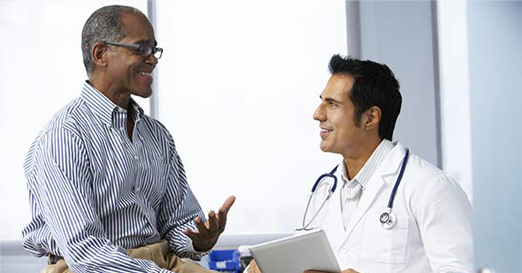 “The experience of a board-certified dermatologist is vital in treating patients of color, as clinical expertise in this area is critical to a successful outcome,” said Dr. Callender. “While chemical peels and lasers can be used safely on darker skin tones, aggressive combination therapy may cause a higher risk of side effects. For this reason, caution must be used because any trauma to the skin can cause further post-inflammatory hyperpigmentation. Sources: Information provided by Valerie D. Callender, MD, FAAD, a board-certified dermatologist and associate professor of dermatology at Howard University College of Medicine in Washington, D.C.